The Lord is good to all. His tender mercies are over all his works. 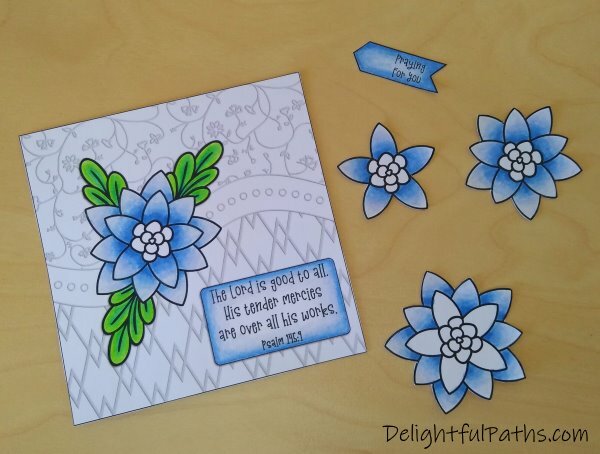 I have designed the card background so that it looks embossed. You can color it if you like or just leave it as is. This will save you a lot of time! 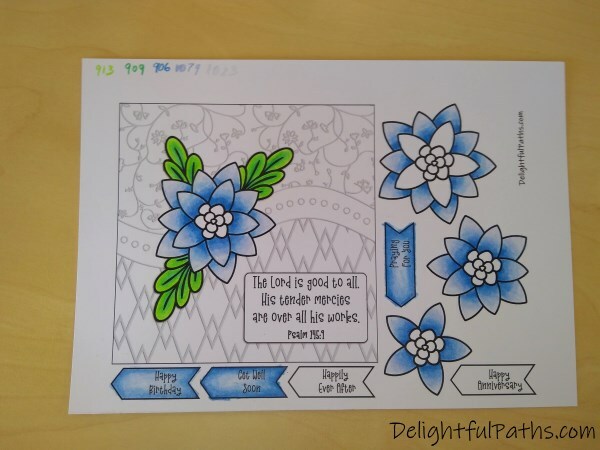 🙂 You will only need to color the leaves and the floral elements. 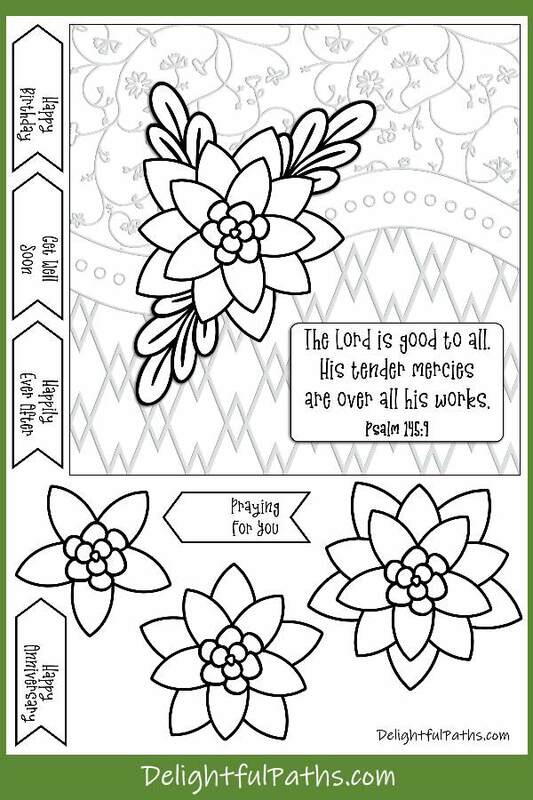 Even then, you don’t need to color ALL the floral elements because you will be layering the flower to make it 3D. So some of the bottom layers will not be visible once the card is made up. contrasting card for mounting the finished card front on. In my card you can see below, I first mounted the completed card front on blue card then on a silver card. I actually printed out the template at half the size so that the card would be smaller (and so cheaper to post) but the card is still made up in the same way. To save a bit of time while coloring, I didn’t color every element. Some of the floral elements would not be seen at all so I left them. I also left the background as it is, without coloring it. 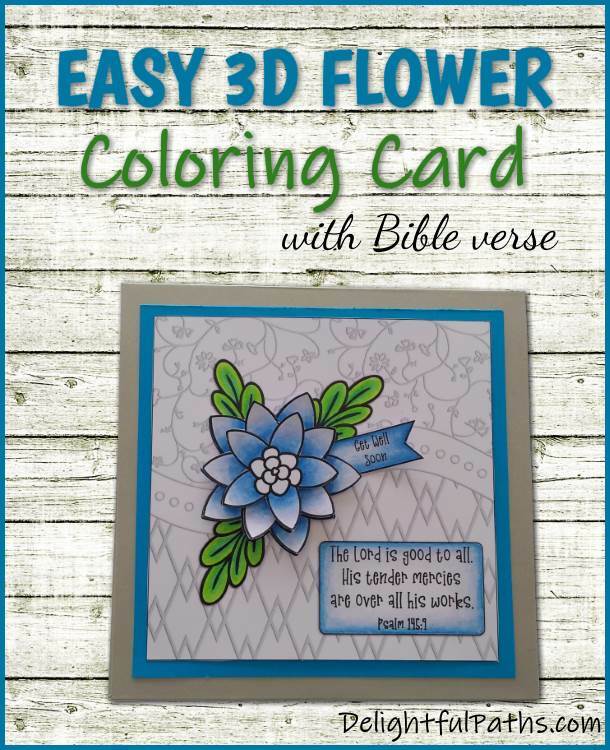 You will also notice that I decided to color the Bible verse tag after I cut out the elements, but you could just leave it white. 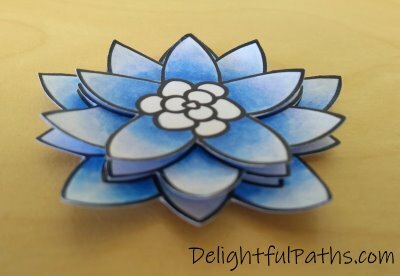 If you like, you can roll the petals slightly or stretch them between your thumbnail and finger to give them a bit more shape. Stick double-sided tape on the back. 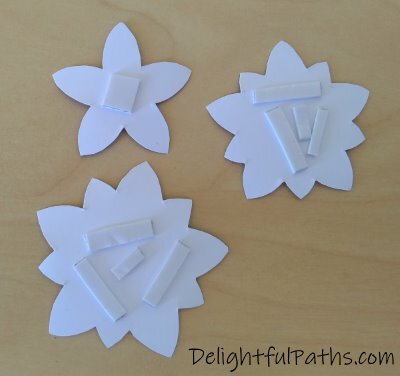 Line up the flower parts and stick them together. Subscribe (free!) 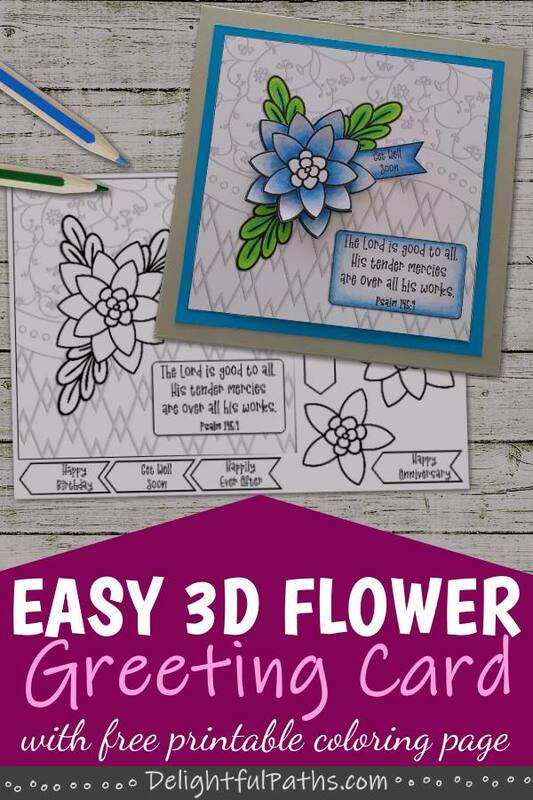 to get access to the easy 3D flower card coloring page (as well as my whole resource library with all my coloring crafts and printables!) Once subscribed, I will send you a semi-regular newsletter with details about my new free files, occasional offers, and other things you may be interested in.